I’ve created this glossary to avoid putting links within the text of my posts, which I find annoying. Chemo Brain – Chemo brain is a relatively new term that refers to the cognitive changes that can occur as a side effect of chemotherapy. Many people who have gone through chemotherapy notice some temporary changes in their memory or thinking process. Deauville Criteria -In general, lymphoma does not obey the same rules as other malignancies discussed elsewhere. It often has a large inflammatory soft tissue component that is not part of the active disease. The active disease can be confined to a small number of cells that phosphorylate and accumulate FDG. This produces imaging problems as active disease and quiescent disease look morphologically similar and monitoring response to treatment is not as clear cut as in malignancies that produce high SUV values. Echocardiogram (Echo) – a type of ultrasound test that uses high-pitched sound waves that are sent through a device called a transducer. The device picks up echoes of the sound waves as they bounce off the different parts of your heart. These echoes are turned into moving pictures of your heart that can be seen on a video screen. 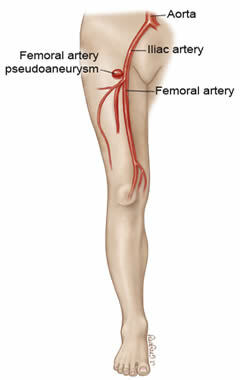 Femoral Line – is a catheter placed into a large vein in the groin in the femoral vein. It is used to administer medication, fluids, and blood. Lymphoma – Lymphoma is a type of blood cancer that occurs when B or T lymphocytes, the white blood cells that form a part of the immune system and help protect the body from infection and disease, begin behaving abnormally. Abnormal lymphocytes may divide faster than normal cells or they may live longer than they are supposed to. Lymphoma may develop in many parts of the body, including the lymph nodes, spleen, bone marrow, blood or other organs and eventually they form a mass of cells called a tumor. Tumors grow and invade the space of surrounding tissues and organs, depriving them of oxygen and nutrients. MUGA Scan – Is a type of nuclear imaging test that shows how well your heart is pumping. It uses a special camera to take pictures of your heart as it pumps blood and measures how well your heart pumps with every heartbeat. Non-Hodgkin’s Lymphoma (NHL) – The non-Hodgkin lymphomas are diverse group of blood cancers that include any kind of lymphoma except Hodgkin’s lymphomas. Types of NHL vary significantly in their severity, from indolent to very aggressive. Osteopenia – Refers to bone mineral density (BMD) that is lower than normal peak BMD but not low enough to be classified as osteoporosis. Bone mineral density is a measurement of the level of minerals in the bones, which shows how dense and strong they are. If your BMD is low compared to normal peak BMD, you are said to have osteopenia. Positron Emission Tomography (PET Scan) – a nuclear medical imaging technique that produces a three-dimensional image or picture of functional processes in the body. Primary Mediastinal B Cell Lymphoma (PMBL) – PMBL is an aggressive subset of Diffuse Large B Cell Lymphoma, which arises in the thymus, and presents as a mass in the mediastinum. It represents less than 3% of all non-Hodgkin lymphoma cases but primarily affects younger patients in their 30’s and 40’s, and is more common in women than men. It closely resembles Hodgkin’s Lymphoma. REPOCH – a chemotherapy regimen consisting of dose-adjusted etoposide, doxorubicin, vincristine, prednisone, and rituximab for 96 hours with bolus doses of cyclophosphamide. The doses of etoposide, doxorubicin, and cyclophosphamide were adjusted 20% each cycle to achieve a nadir absolute neutrophil count below 0.5 x 10(9)/L. Standardized Uptake Value (SUV) – SUV describes the level of activity in a particular spot compared to activity elsewhere in the body. Superior Vena Cava (SVC) – is a large diameter, yet short, vein that carries deoxygenated blood from the upper half of the body to the heart’s right atrium. 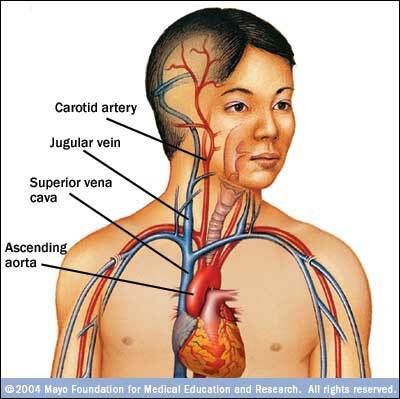 It is located in the anterior right superior mediastinum.